Business Skills Voice Coach - Executive Voice Coaching - Voice Training. We are here to assist you in unlocking your true potential and help you to succeed in business and the work place. Our workshops and training involve coaching voice, communication and presentation skills. Why not learn to project and control your voice as well as discover the power it contains, overcome nerves and tension when presenting or using your voice, why not portray yourself successfully and unlock your true potential, or learn to project yourself confidently. You can also learn to develop motivation and confidence techniques. Learn to use invaluable tools such as meditation and relaxation techniques as this will not only enhance your workplace skills but can be carried throughout your day to day life giving you focus and reason to achieve. We offer group workshops, seminars and one to one training for businesses and the corporate market sectors. Discover the power within your voice, emotion and gesture. Meditation techniques for the voice or workplace. Motivational and self-confidence building skills. Learn much more to assist you in the work place and in your day to day affairs. We appreciate all companies are unique in their target areas and objectives. We tailor make our packages to suit your individual requirements and needs. 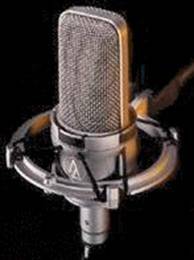 Contact us to learn more about how Vocalcoachstudio & Proworks-Audio can assist you. Effectively Enhance The Development Of Your Work Place & Presentation Skills - Improving Business Performance & Business Leadership. Learn to Unleash the full power and potential of your voice, presentation and communication skills!